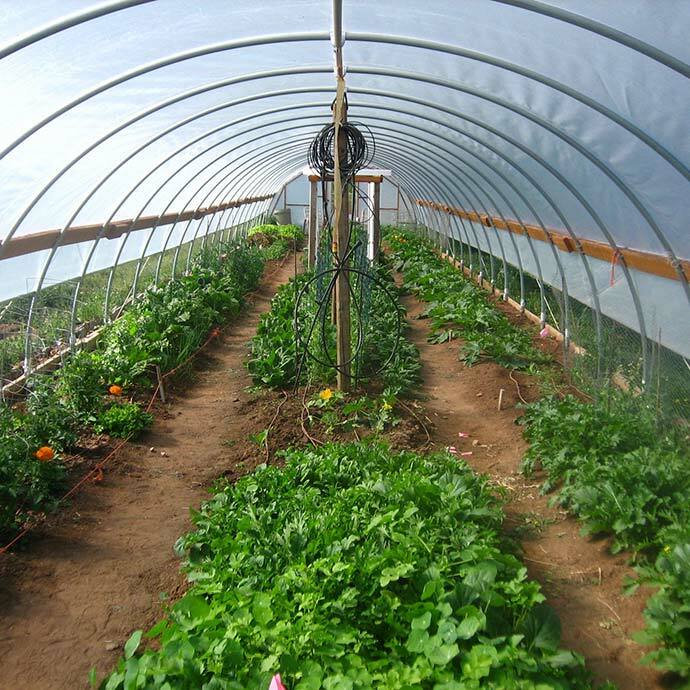 Garden fresh veggies, the sustainable way! The majority of what ACRES does involves cultivating crops that are later sold at the Laramie Farmers' Market and given in Community Supported Agriculture (CSA) shares. ACRES also strives to be sustainable in every respect, so the farm operates using organic methods and practices whenever possible. This means that we greatly restrict use of any synthetic pesticides, herbicides or fertilizers with our precious vegetables. Our primary source of fertilizer comes from fish emulsion, an organic fertilizer. We rotate our crops every season and amend the soil with our very own compost, bringing the sustainability full circle; from soil, to crops, to compost, and then back to soil. These sustainable advantages are passed on to you, as our produce travels only a few miles from where it's grown to where it's sold. Scroll down to learn more about our CSA program, composting, and more! What is a CSA? 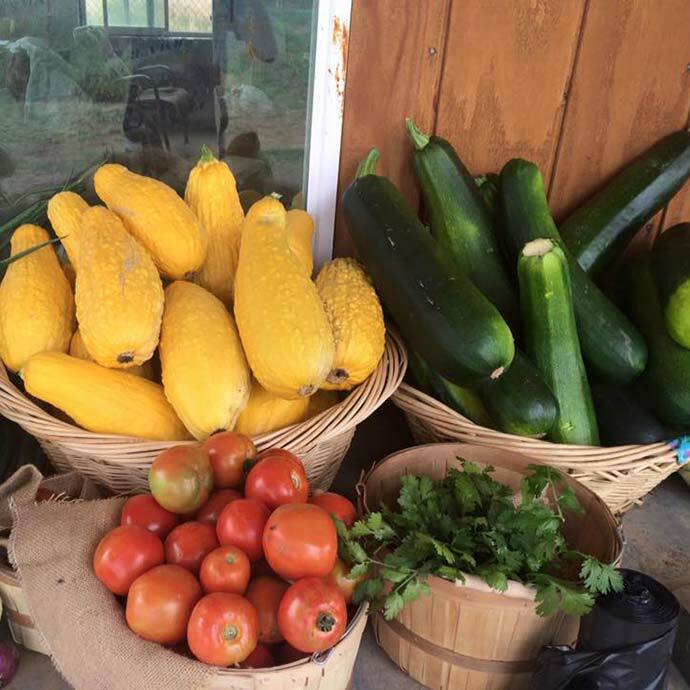 CSA stands for Community Supported Agriculture, a program in which members buy a "share" (or a half share) of produce at the beginning of the season and then receive a basket of said produce every week of the season. CSA programs form a more intimate relationship between farmers and consumers, as the consumers share the risks and benefits of farming. For example, if the farmer has a more high-yielding crop year than usual, CSA participants will likely share in the bounty. However, if the farm's spinach is wiped out by a natural disaster, the farm as well as the CSA members will share the loss. Interested in joining the ACRES CSA Program for the summer of 2019? For more information, email us at uwstudentfarm@gmail.com and we will send you a copy of our CSA contract. Are you interested in purchasing some ACRES produce, but you don't want to committ to a CSA share? You can visit our farmstand at the Laramie Farmer's Market every Friday in the summer and get your fill of fresh produce. Follow the link for more information about the Farmer's Market and other fun events. 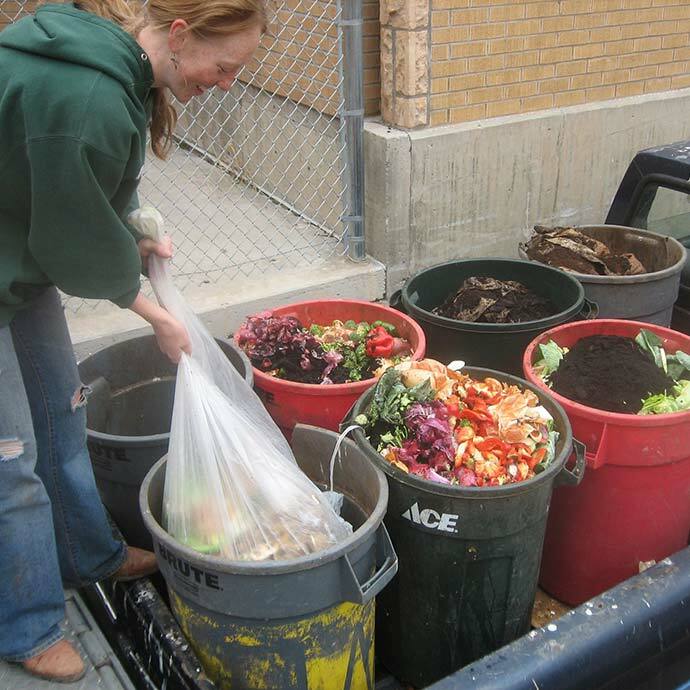 How it works: Three times a week, we drive around town in our farm truck and collect vegetable and fruit scraps, egg shells, and coffee grounds from campus, local returaunts and coffee shops. We then haul this precious organic matter back to the farm where we add it to our compost piles, and after several months of decomposition, the compost piles have been transformed from lowly kitchen waste into nutrient-packed soil. We then use this top quality soil amendment to grow our own veggies! If you would like to donate your own kitchen scraps to ACRES, we have two community compost drop-off sites: one along the fence of the West side of the parking lot to UW's Agricultural Experiment Station (on the corner of 30th and Harney) and the second location is in the alley behind the Haub School of ENR (the Bim Kendall House is located at 804 E Fremont - the alley is in between 8th and 9th). We ask that your donations consist only of pre-prepared fruit and veggie scraps (sorry, no table scraps, unless they have not been prepared, such as baked potato skins and grapefruit rinds), egg shells, and coffee grounds. Please don't include any dairy or meat products! For specific questions about what can and can't be included, or if you would like to volunteer to help with compost collection, please email us at uwstudentfarm@gmail.com. Want to know more about what we do at ACRES? Follow the link to learn about internship, volunteer, and research opportunities!